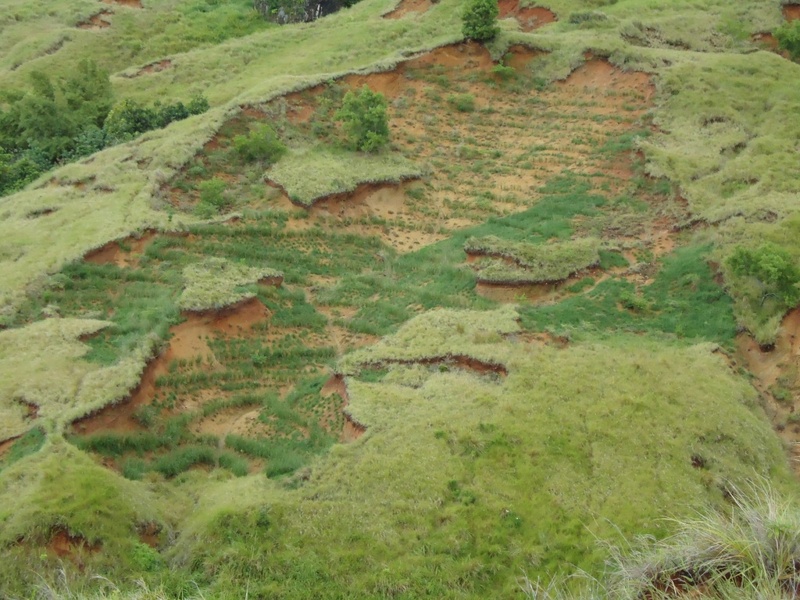 Efforts to restore vegetation on the eroded hillsides of the Talakhaya Watershed in Rota help improve coral condition. The Talakhaya watershed in Rota, Commonwealth of the Northern Mariana Islands (CNMI), is upland from a vibrant coral reef that is home to many species of reef fish, sea turtles, and other marine life. The cumulative impacts from uncontrolled burning and deforestation have led to bare, eroded hillsides. As a result, during the rainy season loose soil washes downhill, creating sediment plumes in the water that are visible for miles. Sediment suspended in seawater impacts corals in a number of ways, including drastically reducing the amount of light that reaches the corals and burying the corals in thick layers of fine soil. 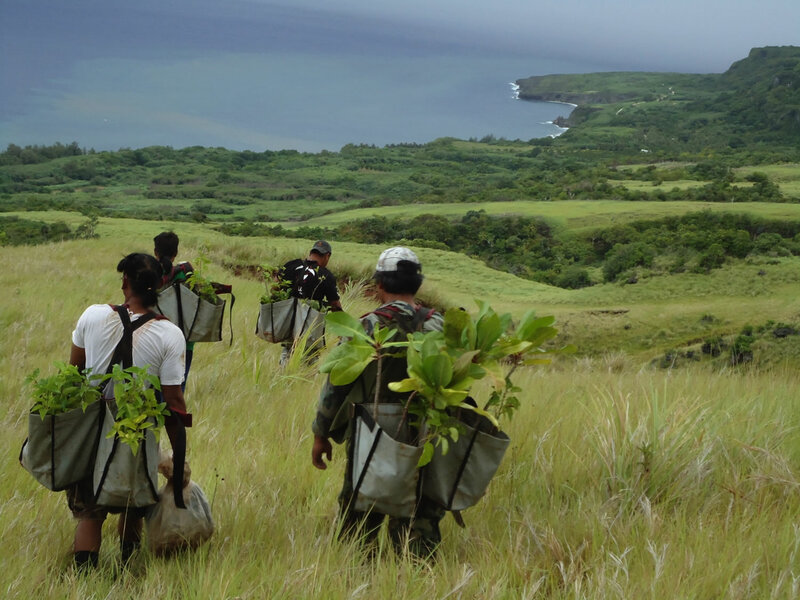 The NOAA Coral Reef Conservation Program, CNMI Department of Forestry, and volunteers from the surrounding community are taking action to restore the Talakhaya watershed and reduce the impact of land-based sources of pollution to coral reefs by planting seedlings to stabilize the soil. Since work began, thousands of outplanted grasses, small trees, and shrubs have taken root, turning the dusty hillsides green once again. These efforts on land are making a big difference in the water, reducing sediment loads to the nearby coral reefs and improving water quality. The result is healthier, more resilient coral reefs.